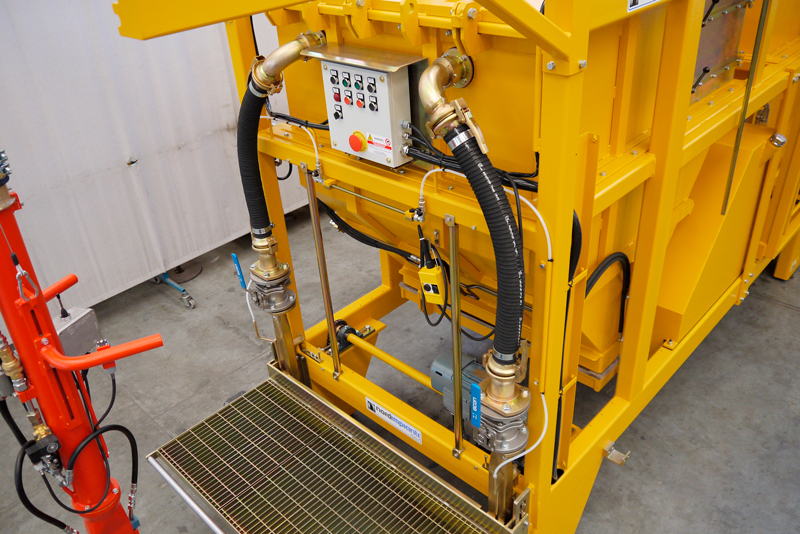 Manually operated suction tube mounted on a weight balance for ease of use. 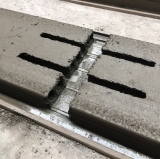 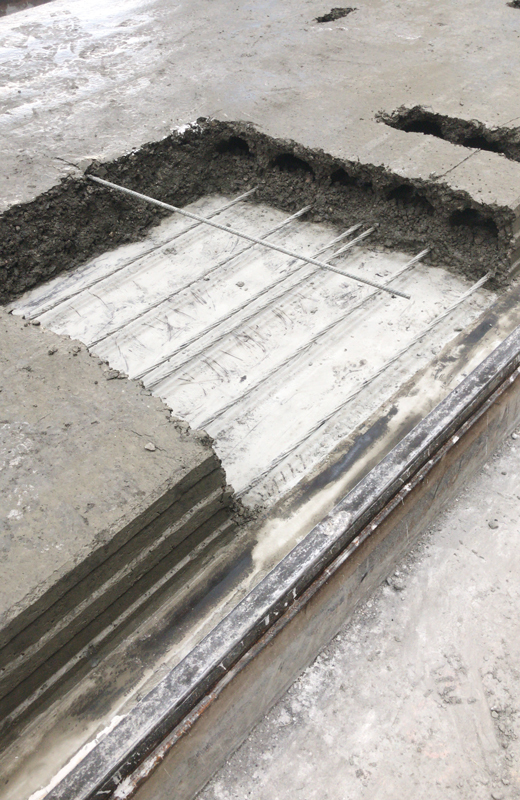 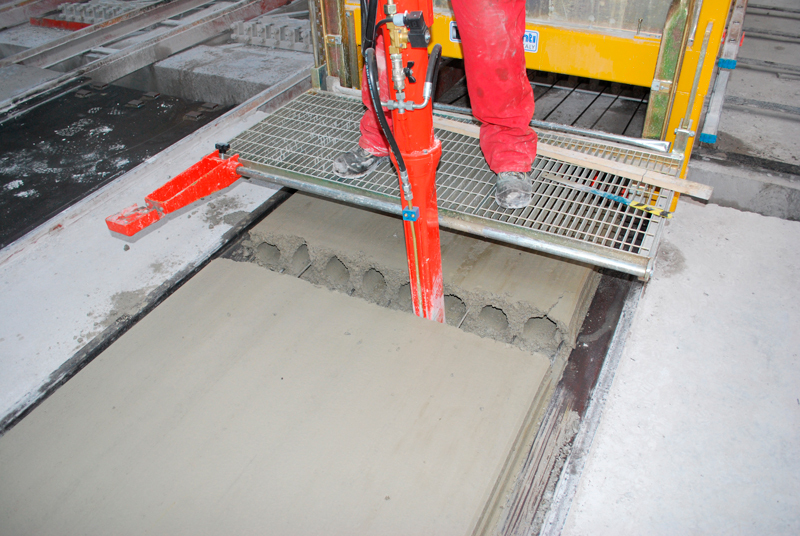 The machine is used to make openings such as notches, holes or breaks on the wet concrete on elements previously marked out either manually or by a NORDIMPIANTI plotter machine. 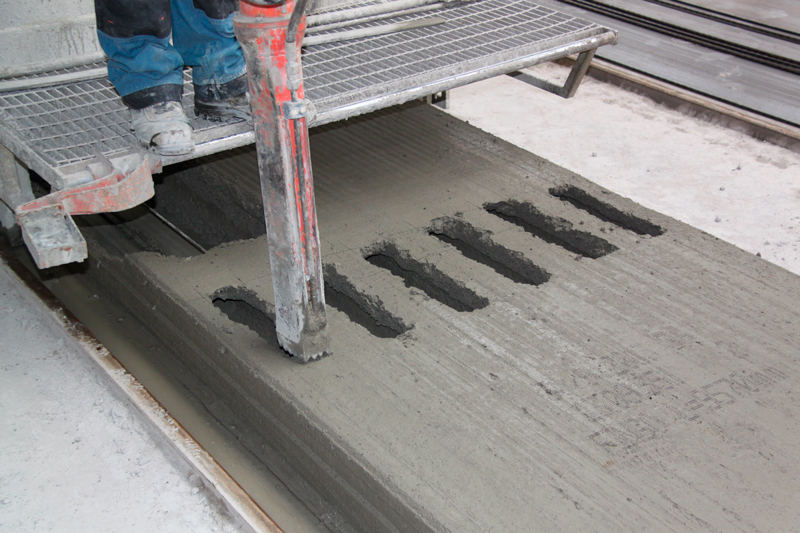 The wet concrete is sucked through a suction nozzle and pipe operated manually. 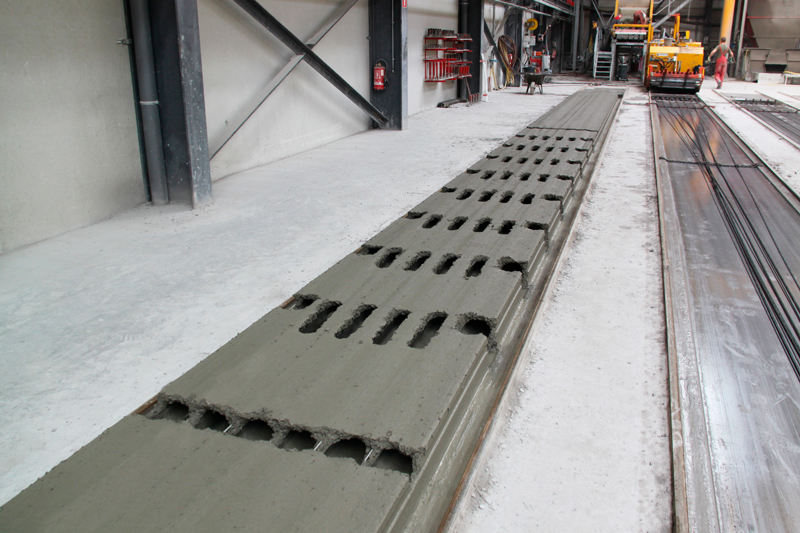 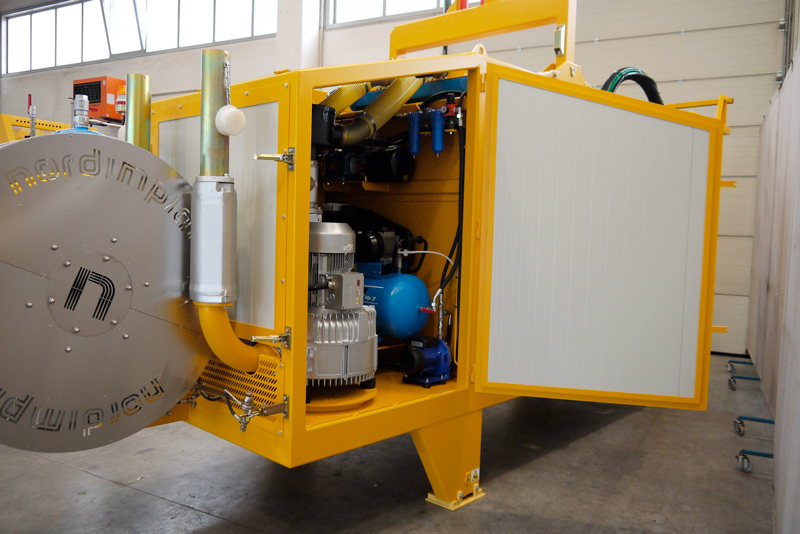 The removed concrete is deposited in a debris container within the machine that can quickly and easily be emptied. 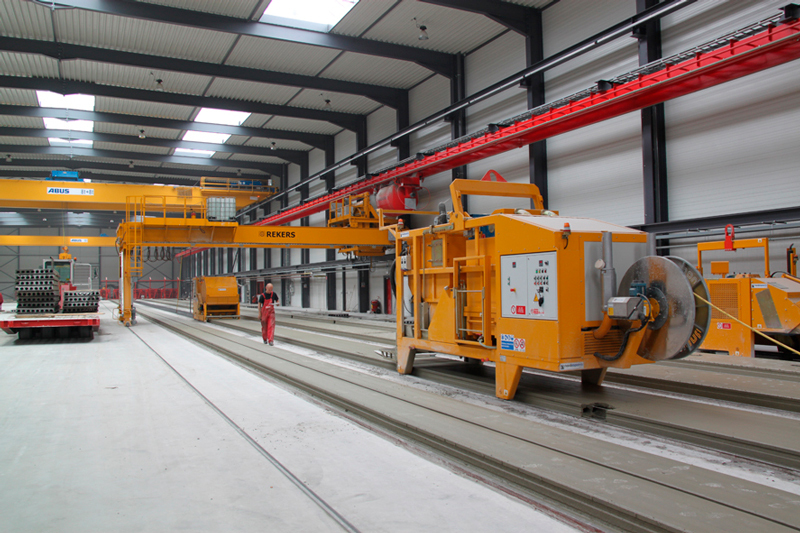 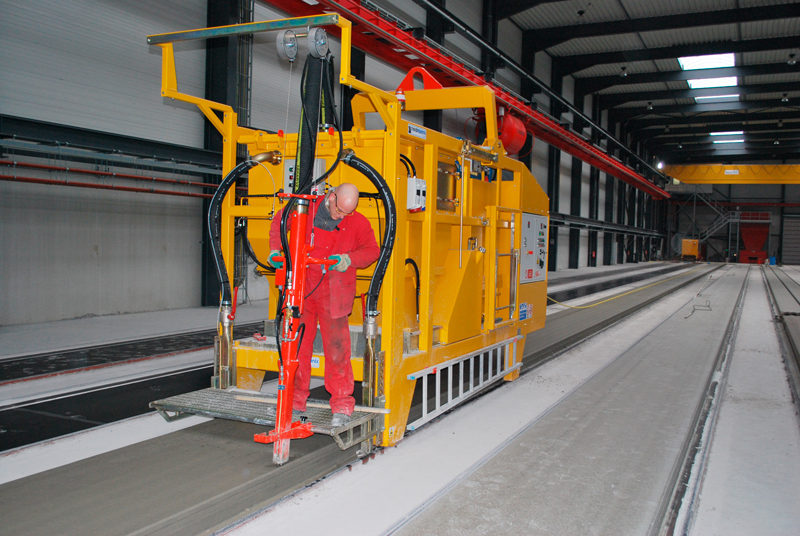 With this machine it is also possible to remove concrete at the cutting point to expose the prestressing wires.